Ibanez acoustic electric guitars come in here surprisingly well. 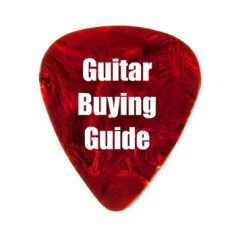 Acoustic electric guitar reviews give high ratings to all Ibanez instruments in this category. Based on an affordable price frame of under $1000, even for the high-end pieces, the value is extraordinary; so is the sound. Models like the V70CE and AEG20E make the case nicely. Most Ibanez A/E's are powered by Fishman electronics for an added level of amplified tone quality. One of the world's finest guitarists, Joe Satriani, is a nearly exclusive player of Ibanez instruments and has a signature line there. The Ibanez JamPack Jolt gives you a complete plug 'n' play setup, starting with the Ibanez AEG5EBK acoustic-electric cutaway guitar with on-board preamp and tuner, the ACA15 Amp, and all the guitar accessories that you need.The Ibanez acoustic electric guitar's AEQ200T 2-band EQ is optimized for use with Ibanez under-saddle pickups. The on-board tuner with 7-segment LED lets you get in tune fast. The JamPack also includes a padded gig bag, guitar cable, strap, instructional DVD, extra strings, picks, and accessory pouch. • Ibanez quality with outstanding playability • Soft cutaway helps you reach the high notes • Responsive feel and tone • Sounds great plugged in or played acoustically • Solid guitar at a beginner's priceQuality electronics combine with superior Ibanez design and a select spruce top to make the V70CE Ibanez Acoustic Electric Guitar an instrument that sounds great plugged in or played acoustically. Rosewood fretboard and chrome tuners. Mahogany neck, back, and sides.Check the drop-down menu to the right to select colors and/or other options. If you've played or even just listened to many acoustic guitars, you know the amazing difference a solid top makes. The AW30ECENT ARTWOOD SERIES Ibanez Acoustic Electric Guitar features a solid top made of Englemann spruce. You'll hear warm lows and ringing highs in crisp detail, the way an acoustic is supposed to sound. The dreadnought body style is particularly well suited to making yourself heard in a group. The cutaway allows easy access to the entire fretboard.For faithful reproduction of acoustic tone, a Fishman Sonicore pickup is paired with the Ibanez AEQ-SST Shape Shifter preamp with an onboard tuner. Tune anytime, anywhere. You're also ready for whatever connection is available. The AW30ECENT has balanced 1/4" and XLR outputs.Mahogany back and sides, maple body and neck binding, and gold die-cast tuners with brown pearloid knobs are features you normally find on guitars costing far more. If you've been holding back on an acoustic guitar purchase because you haven't found the right features at the right price, your wait is over.Check the drop-down menu to the right to select colors and/or other options. The Ibanez EW50MPSE Acoustic-Electric Guitar from the Exotic Wood Series looks beautiful enough for gallery display and yet ready for any type of gig. The guitar's solid monkey pod top and monkey pod back and sides body continues the EW tradition of using the finest exotic tone woods. The EW50MPSE guitar features an Ibanez SRTn preamp with notch filter and onboard tuner as well as balanced 1/4" and XLR outputs—superb electronics at an affordable price. With a spruce top and mahogany back and sides, the AEG10E Ibanez Acoustic Electric Guitar delivers the kind of rich, full tone that can fill smaller rooms without amplified support. For bigger venues, its Fishman Sonicore pickup and SST preamp effortlessly dial up its natural acoustic sound. Die-cast tuners, pearl dot inlays, and a cutaway for open access to high end of the fretboard. Onboard tuner. The Ibanez AEG20E is an acoustic-electric guitar with a slim neck, feedback-resistant body, warm resonant tones, and a gorgeous flamed sycamore top that make it a fine live-performance guitar. Making the AEG20E even more live-performance-friendly are the Ibanez guitar's onboard chromatic tuner and balanced 1/4" and XLR outputs.The beautifully inlaid headstock and rosette add flash that'll really register under stage lights. The Ibanez AEG20E is a sweet guitar to look at and to listen to with a price that belies its refinement. The AEL20E Ibanez Acoustic Electric Guitar with Onboard Tuner is as sweet to your ears as it is beautiful to your eyes. A Fishman Sonicore pickup and SST preamp deliver outstanding reproduction of the guitar's acoustic tone. Features a maple back and sides with a flamed maple top. Rosewood fretboard and bridge. Die-cast gold tuners, pearl dot inlays, and an onboard tuner. If you've played or even just listened to many acoustic guitars, you know the amazing difference a solid top makes. The Ibanez AW30ECENT ARTWOOD SERIES Acoustic-Electric Guitar features a solid top made of Englemann spruce. You'll hear warm lows and ringing highs in crisp detail, the way an acoustic is supposed to sound. The dreadnought body style is particularly well suited to making yourself heard in a group. The cutaway allows easy access to the entire fretboard.For faithful reproduction of acoustic tone, a Fishman Sonicore pickup is paired with the Ibanez AEQ-SST Shape Shifter preamp with an onboard tuner. Tune anytime, anywhere. You're also ready for whatever connection is available. The AW30ECENT has balanced 1/4" and XLR outputs.Mahogany back and sides, maple body and neck binding, and gold die-cast tuners with brown pearloid knobs are features you normally find on guitars costing far more. 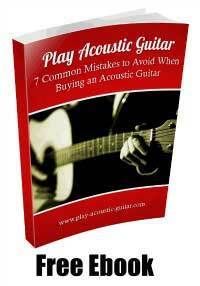 If you've been holding back on an acoustic guitar purchase because you haven't found the right features at the right price, your wait is over. There are a lot of guitars to choose from. The Ibanez EW20ZWE EXOTIC WOOD SERIES Zebrawood Acoustic-Electric Guitar is different. Singular in looks and sound because it's made from exotic African zebrawood. The grain patterns are striking, and while it's a difficult wood to work with, it is durable and ages very well. It's amazing to find an exotic wood guitar in this price range.For faithful reproduction of acoustic tone, a B-Band UST pickup is paired with the Ibanez SRTn preamp with notch filter and an onboard tuner. Tune anytime, anywhere. You'll also be ready for whatever connections are available; the EW20ZWENT is equipped with balanced 1/4" and XLR outputs.Paired with the fine wood are high-end cosmetic appointments also found on guitars costing much more: an abalone rosette, Ibanez chrome die-cast tuners and a natural high-gloss finish. 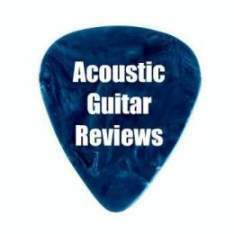 If you've been holding back on an acoustic guitar purchase because you haven't found the right features at the right price, your wait is over. The Ibanez EW20QMEBBD is a gorgeous blonde acoustic-electric guitar that sounds fantastic both plugged or unplugged. An AEL body with cutaway is made with quilted maple top, back, and sides. The fretboard has a mother of pearl 12th fret inlay, and black body binding adds a touch of flash. Headstock is capped with quilted maple to match the body. An Ibanez B-band SQR pickup is mated with an Ibanez AEQ-SRT Shape Shifter preamp producing natural tone when amplified and effective feedback control The onboard tuner is a handy plus. The Ibanez EW20SGE Acoustic-Electric Guitar from the Exotic Wood Series looks beautiful enough for gallery display and yet ready for any type of gig. The guitar's spalted mango-wood body continues the EW tradition of the finest exotic tone woods. The EW20SGE guitar features an Ibanez SRTn preamp with notch filter and onboard tuner as well as balanced 1/4" and XLR outputs—superb electronics at an affordable price. The Ibanez MSC550 acoustic-electric guitar brings the unplugged and plugged-in worlds together in new and exciting ways. From the Montage Series, it merges two acoustic sounds, two electric sounds, mix capability, onboard reverb, chorus, distortion, phase canceling, plus a dual notch filter and tuner. These groundbreaking, innovative electronics are possible with the combination of the B-Band® UST acoustic pickup, Ibanez AP9 electric pickup, and the Ibanez HBP multi-function preamp with Onboard Tuner. Controls are conveniently mounted on the face of the upper bout. The preamp operates on a standard 9-volt battery and has balanced 1/4" outputs.The Ibanez MSC550 guitar also features a flamed maple body with a transparent red gloss finish. Montage series acoustic guitars have a sleek, comfortable cutaway semi-jumbo body style and the exclusive Ibanez adjustable mahogany F.A.S.T. (Fast Action Set-Up Technology) lets the player quickly setup the action to their personal playing style. 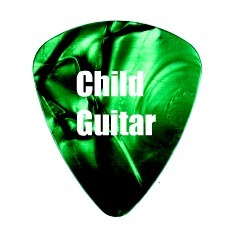 Other appointments include a rosewood fingerboard and bridge, Advantage™ bridge pins, and chrome die-cast tuners.